Anything in the world is possible – by will and by luck, with a moist carrot, a wet nose and a slice of mad courage! Shylo has always been the runt of the litter, the weakest and quietest of all of his family, his siblings spend their days making fun of him for not being like the rest of them. 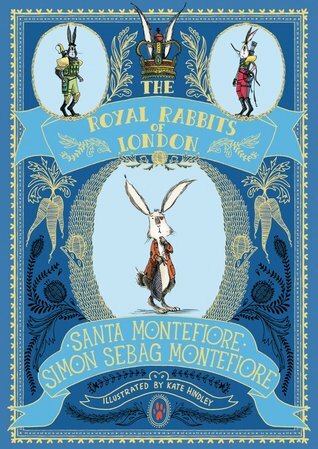 But when Shylo stumbles across a band of ratzis and overhears their evil plan to take a photo of the Queen in her nightie, it's up to this unlikely hero to travel to London and inform the Royal Rabbits of London about the diabolical plot! The Hobbit meets Fantastic Mr Fox meets Watership Down in this charming novel from bestselling authors Santa and Sebag Montefiore, which proves even the smallest rabbit can be the biggest hero. 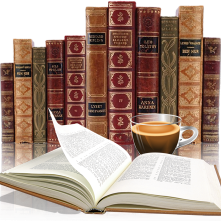 The Royal Rabbits of London is a wonderful children’s adventure story. Though the runt of the litter and mocked by siblings Shylo steps out of his comfort zone, travels far from home on a mission to save the reputation of the Queen. Fairy tale in style it’s a story of courage, adventure and bravery. With short chapters and wonderful illustrations this is a great book for early readers of chapter books. The story is interesting, showing how Shylo struggles with his fears and steps out of his comfort zone. One I highly recommend and thoroughly. This is the first in series (not sure how long it will be). My copy was from my personal library.